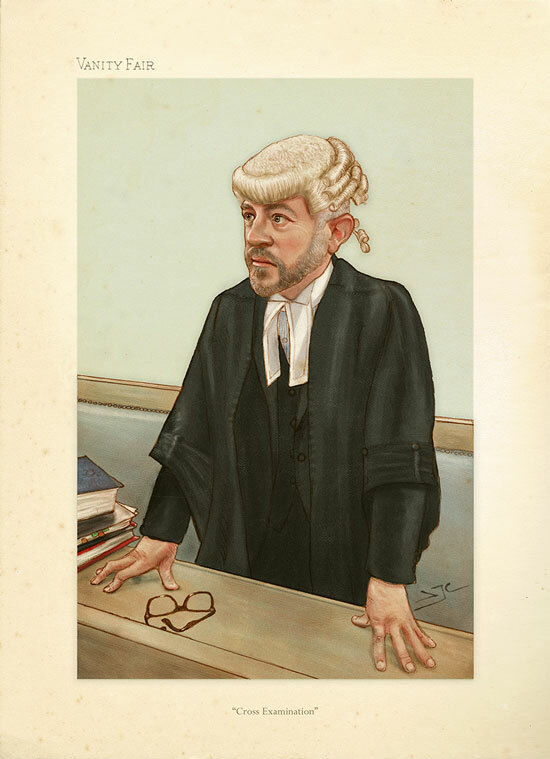 Portrait of a barrister during cross examination. The client thought ‘Cross Examination’ should be the title. He said, of the picture, “It does capture a sneering disdain for a dishonest answer… or I’m just angry… works either way”.